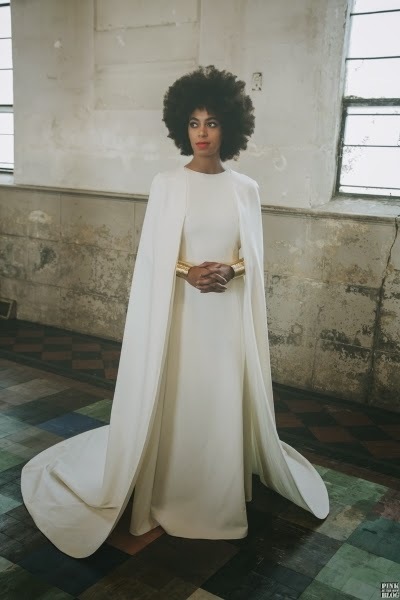 There has been a lot of talk about Solange’s beautiful wedding on the world wide web these past couple of days. I’m truly amazed with how detailed the couple was when capturing ancient symbols in just one photo. I couldnt help but notice a lot of energy emanating from this pair and decided to give my interpretation of some of the symbols here. I’ve studied symbols for many years and it’s a form of language. Symbols speaks to the subconscious mind. Solange was definitely speaking to those who understand. Location. 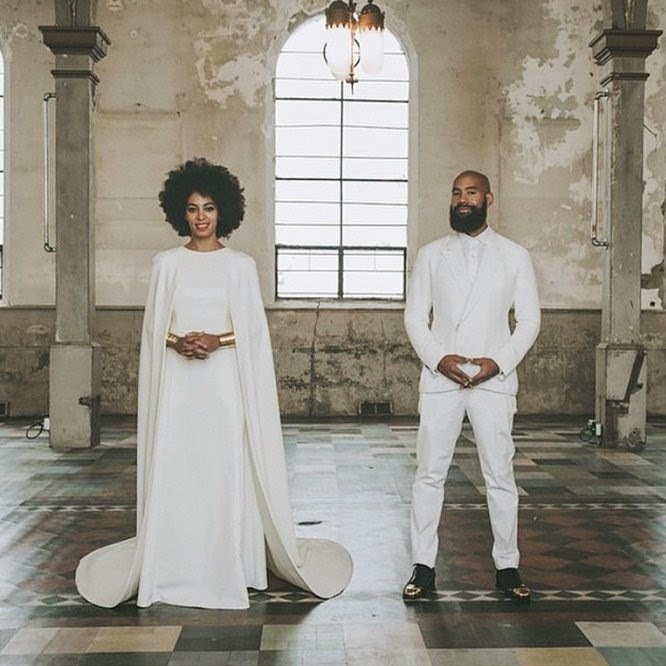 Location is everything and it was of no surprise Solange chose to wed in New Orleans. Although from Texas, Beyonce and Solange’s ancestry are of Louisianan Creoles. Louisiana is very rich in history and I’m sure there’s plenty of it in relation to Solange’s grandparents (ancestry, roots) and her way of honoring them on her big day. The arched window. Arches in Tarot are known to symbolize thresholds, openings, new beginnings or gateways. Signifies a point of transition. Arches are also associated with initiations and ceremonies of renewal. Pillars. The two pillars that are behind them are symbolic of support and stability especially in Egyptian Mythology. 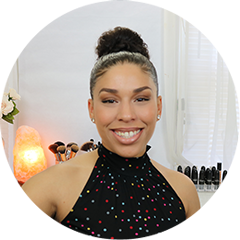 Pillars are also symbols of the phallic (masculine) energy representing balance between the male and female principle (duality) when combined with the arches. High Priestess. Again, a symbol from the Tarot stood out to me when I saw the wedding dress details across the fashion sites. To me, she immediately exuded royalty and reminded me of the high priestess in the tarot. She looks very serene and represents knowledge and wisdom. Her hair styled as in the form of a halo, she truly put her energy on display elegantly and quietly here. The high priestess in the tarot is linked to the subconscious mind and is activated through symbols and dreams. Yoni hand symbol. This was perhaps the first thing that caught my attention when I first saw this picture. 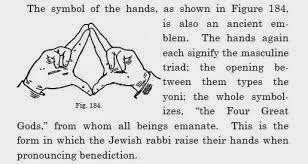 If you notice Alan’s hand pose, you may think he’s repping for Jay-Z (the Roc) but in fact he is honoring the yoni. Again, balance with the male and female principle. The yoni represents the source of all life on earth. As mentioned, I’ve studied symbols in all aspects, be it marketing or spiritually there is power in everything you see around you. Symbols are very ancient ways of communicating with the subconscious mind. Many tend to demonize or base fear out of our own powers by associating such things with “illuminati” or devil worship. But in fact these are birth rights we have latent within us and just because some are aware does not make them bad people. I truly love the message of peace and higher frequencies brought forth with this union.